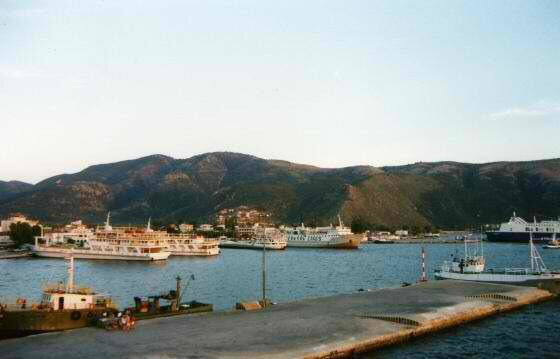 Igoumenitsa is a coastal town in northwestern Greece. 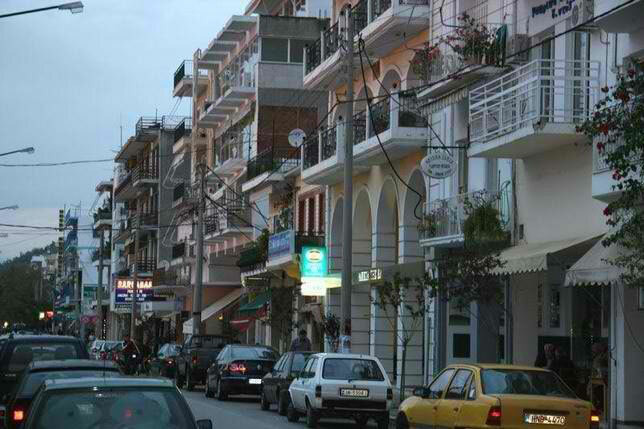 It is the capital of the regional unit Thesprotia of Epirus. Its original ancient name used to be Titani. Igoumenitsa is a picturesque small town with lots of green, beaches with crystal clear blue waters and green mountains surrounding the town. 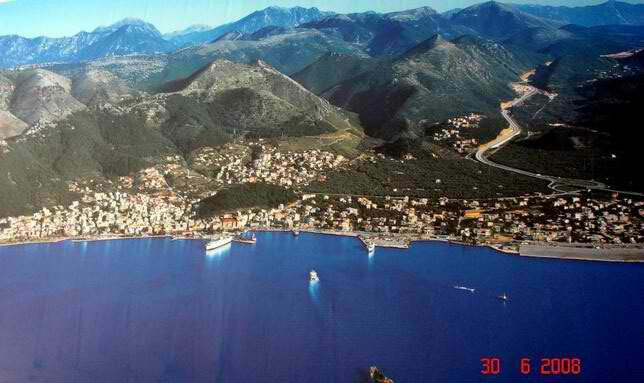 The average rainfall in Igoumenitsa is around 1,100 mm. The water is safe for swimming between the months of May to November, that's only half a year. The last 25 years, the lowest temperature was -9°C and the highest was 43°C. In ancient times Igoumenitsa was known as Titani, and was one of the most important towns of the Kingdom of Thesprotis during the 4th century BC. The city was destroyed by the Romans in 167 BC and later on it was annexed into the Roman Empire. It was ruled by Ottoman Empire and was renamed as "Reşadiye" in 1909 honour of Mehmet V, Ottoman Sultan between 1909 and 1918. During Italo-Turkish War, Hamidiye torpedo boat was sunk by an Italian destroyer on December 30, 1912 in here. After the liberation of the region from ottoman rule during the Balkan wars in 1913, the city name was Grava which means "cave" in ancient Greek and in 1938 became head of the prefecture of Thesprotia and renamed to Igoumenitsa. The circumference of ancient Igoumenitsa’s walls was 2,400 metres, the walls had four gates. Internal walls, in the shape of a sickle, divided the city in half. Its most noteworthy tower, located at the top of the hill, was round, and is thought to have been a religious sanctuary. Excavations have revealed a theater which seats 2,500 and ruins of two temples. A spur near Philiates, between the Kalamas River and acropolis, had a fine semicircular tower, a small theater, other towers, and gateways which are still visible. Near Igoumenitsa are many beaches and mountainous nature, where tourists can ride horses through the mountain trails while enjoying the breathtaking views. There are also trails for hiking, mountain biking and walking. As Igoumenitsa lies on the coast there is a multitude of water sports to choose from including water skiing, jet skiing, scuba diving, snorkeling and all types of sailing.